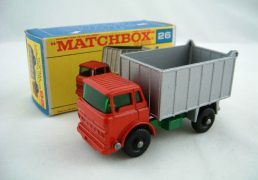 SKU: 271017001-1. 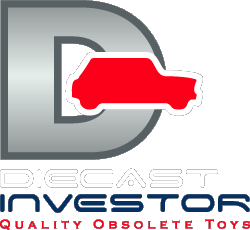 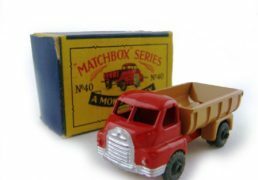 Categories: 1-75 Series Regular Wheels, Commercial Vehicles, Matchbox. 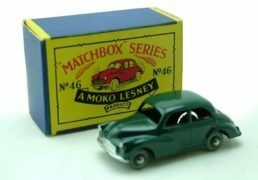 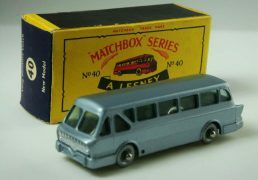 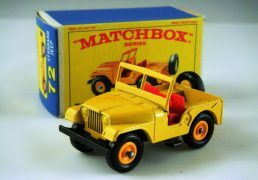 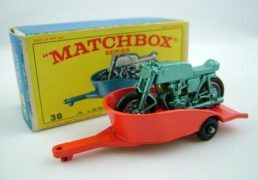 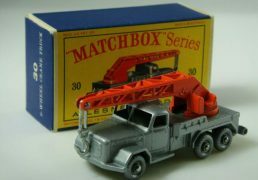 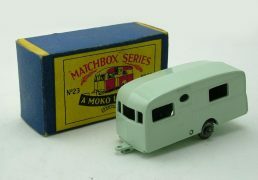 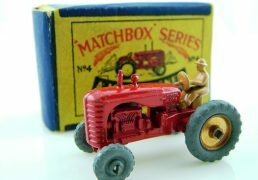 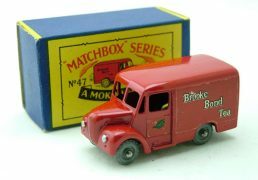 Tags: diecast, Matchbox, Matchbox Regular Wheels, Mint Model. 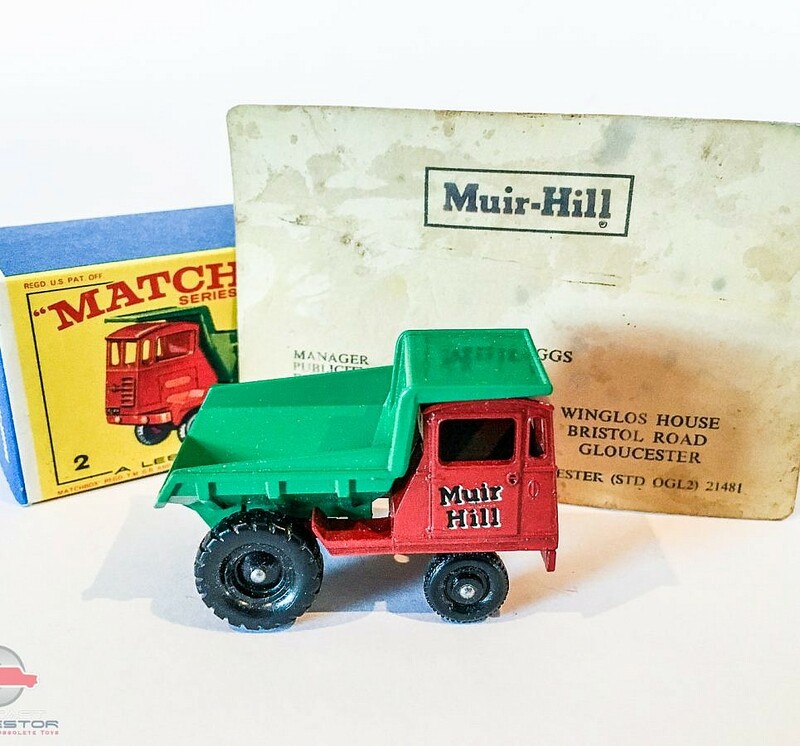 Matchbox Regular Wheels No.2c Muir Hill Site Dumper “Muir Hill” – red cab and chassis without silver grille – Mint in Mint correct issue type E3 box. 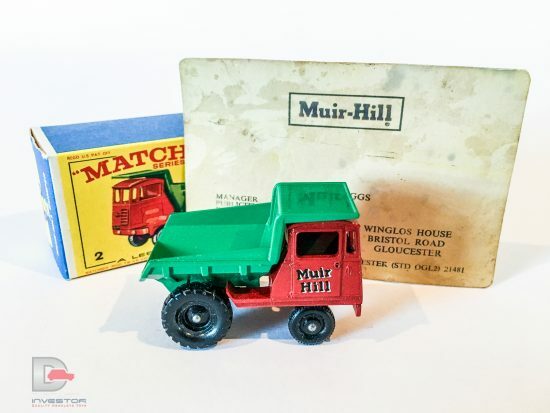 Comes with an old business card belonging to E.L Briggs who was the manager of the publicity department at Muir Hill who originally ordered these models as promotional items to be given out by sales reps. 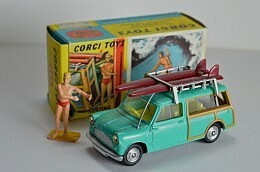 This model was purchased from the family.